This beautiful baby doll dress white dotted features semi-sheer cotton fabric with Swiss dots, or “clip” dots. 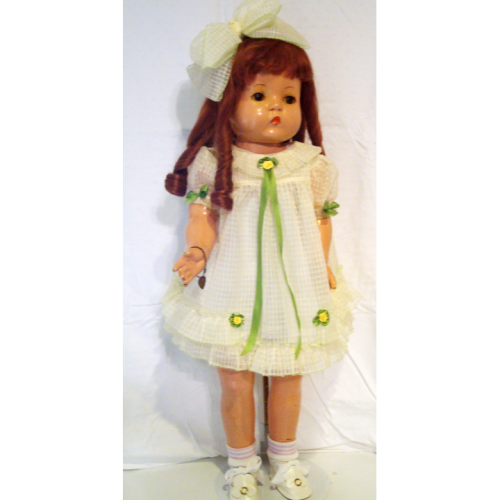 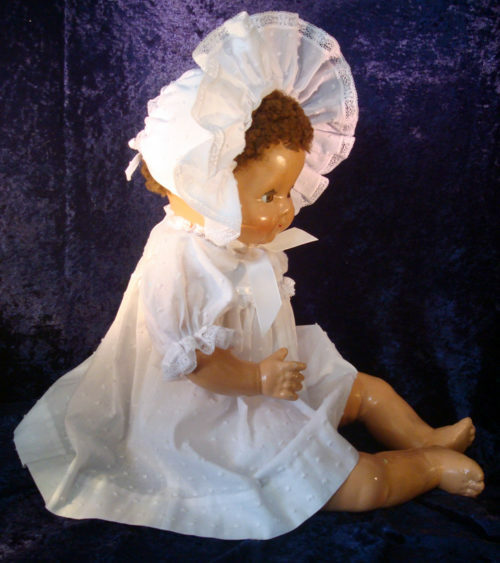 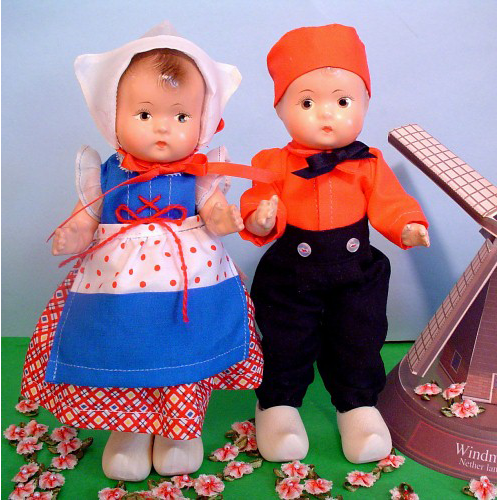 The bonnet, and bloomers are a classic for composition baby dolls with a cloth body. 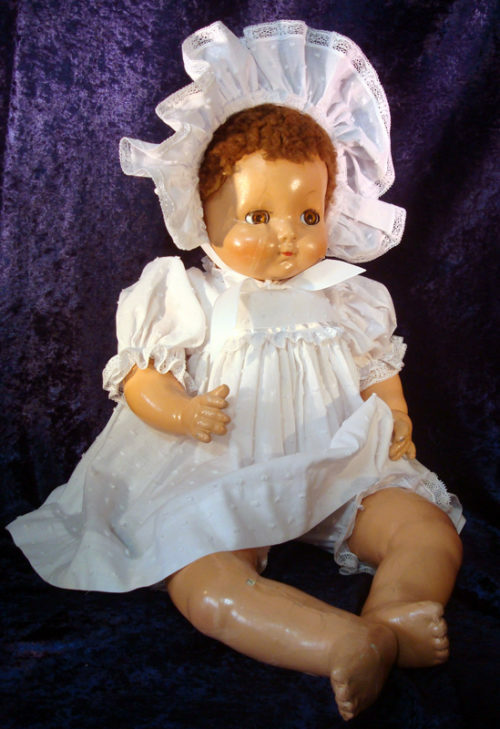 It will also fit all composition or paper mache baby doll bodies. 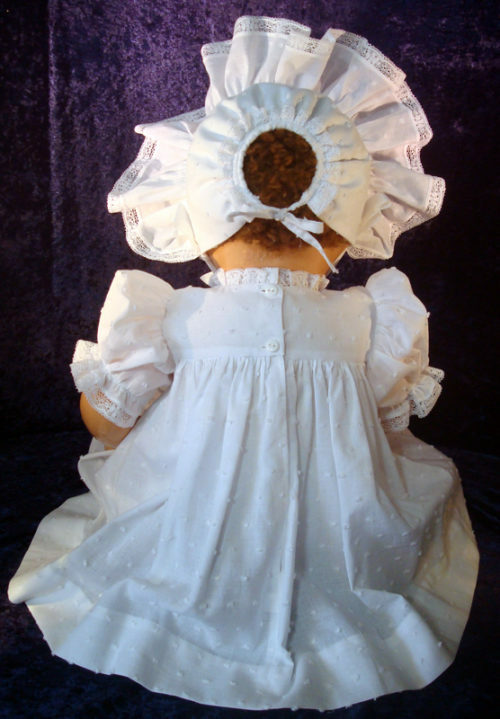 It is made of soft 100% cotton dotted Swiss, trimmed with white cotton lace. 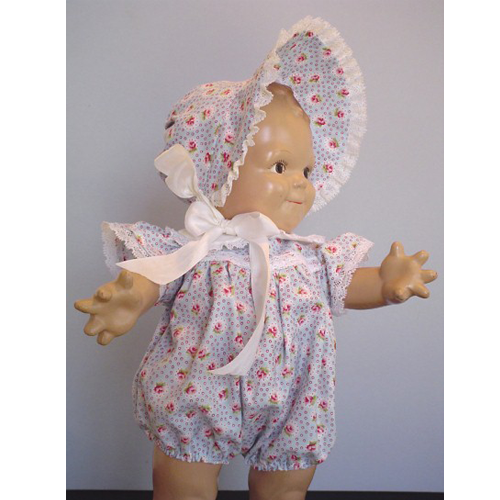 The outfit includes the dress with a matching bloomers and a bonnet. 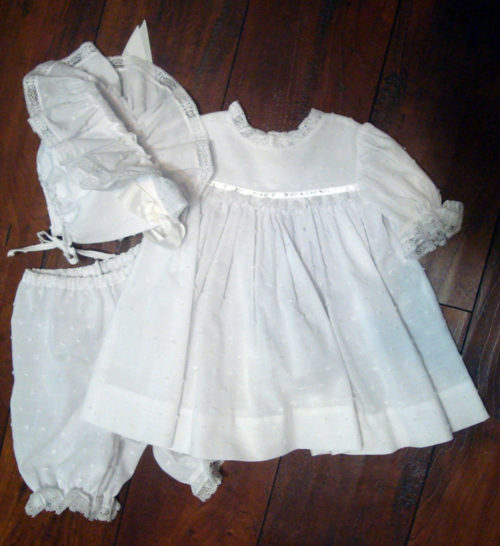 The slip and booties are available separately.